Red Wheel ∕ Weiser Online Bookstore | Attacked by Poison Ivy: A Jungian Analysis of the Symbolic Meaning of Affliction by Ann Ulanov, Ph. D.
With a particularly strong emphasis on Jung's theories of archetypes, Dr. Ulanov's examination of her own experience with affliction is an example of psychology in practice. 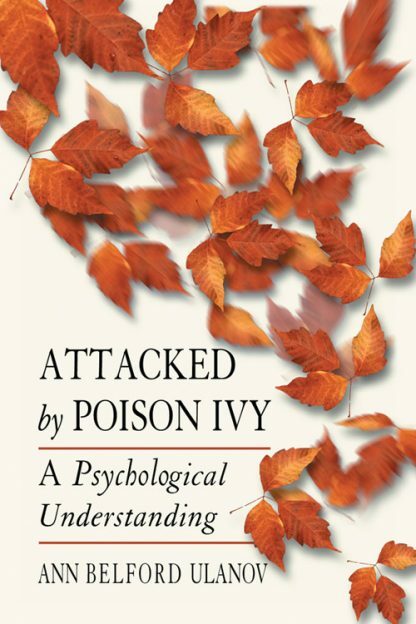 She details the terribly severe attacks of poison ivy that besiege her annually; her personal point of view in applying the symbolism of Jung's archetypes to these attacks is refreshing in its individualization of the analysis. As a modern excursion into the territory handled by animistic cultures where priests make mandalas in the sand and ritual dancers dance away the spirits of illness, Ann Ulanov examines her own illness in the light of modern psychology. These sorts of rituals have been performed for many hundreds, perhaps thousands, of years, and still resonate today. Dr. Ulanov discusses the physical, psychological, psychosomatic, psychosocial, and psycho-spiritual aspects of asking to be healed.